In an effort to make your shopping experience as secure as possible, we ask that you enter your credit card's 3 to 4 digit security code. Since the code can only be found on the card itself, providing it helps to prevent credit card fraud. Look for this three-digit, non-embossed number printed on the signature panel on the back of your card. It immediately follows your account number. 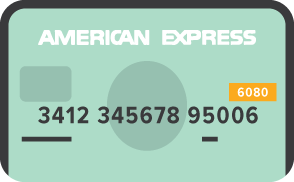 Look for this four-digit, non-embossed number printed above your account number on the front of your card. Registering is fast, easy and free. As well, you are going to love our website and what we can provide. As soon as you enter your details below you will be logged into our site and ready to start downloading. Please specify your email that is registered with our website into the form below. You will then be sent a link via email that will direct you to the reset password form. This product download contains 40 files. You too can now protect the dharma in many artful ways with Potalaka, a collection of over 40 beautiful, intricate Tibetan-themed vector illustrations. Spanning the continent, from their Himalayan roots to their rebirth in Bangkok at YouWorkForThem, these striking, spiritual vectors will bring the spirit of the bodhisattva to any situation, whether an icon set or a geometric mandala wall print. Once this item has been added to your cart, you can add any of our affordable Extended Licenses that allow for creating Items for Resale, Electronic Items for Resale, Multi-Seat Usage and Unlimited Print Runs. This product is a vector EPS. We suggest using vector editing software such as Adobe Illustrator, Freehand or CorelDRAW. Adobe Photoshop can open EPS files, but it limits your editing abilities. Your cart is full, please login to proceed. Register now and you'll get instant access to 1930 FREE Fonts, WebFonts, Graphics, Photos, Videos, and Audio files. Simply enter your details, join our newsletter and click register. You'll instantly get access to 1930 designs–absolutely free. Founded in 2001 by designers, for designers. We are the original creative marketplace. There are currently 90,292 Fonts and 252,290 Stock Art Designs available for download at YouWorkForThem. The Original Creative Marketplace | Copyright © 2001-2019 YouWorkForThem. All Rights Reserved. There are currently 90,292 Fonts and 252,290 Stock Art Designs available for download at YouWorkForThem. The Original Creative Marketplace | Copyright © 2001-2019 YouWorkForThem. All Rights Reserved. Thank you for your time and message. We will review this as soon as possible. If you have a question about our site, products or have found a bug on our website, please contact us with all the details. We will review your message as soon as we can, and post a response to you. If you are logged in, this will create a new support ticket, which you can easily track overtime via the support tab in your account. Until now, the system would only treat combinations of words, spaces and hyphens specifically. For example, 'sans serif font' will not return 'sans' or 'sans-serif' but only items that have 'sans serif font' typed exactly. Now, adding a plus sign will return multiple single keywords, while adding a comma will match either keyword. For instance, 'sans+geometric' will look for items containing both of those words individually--a smaller, more focused result--while 'sans,geometric' will return all items that contain either of those keywords--a much larger result. Save money! To find out what's currently on sale, simply type, 'sale+' the item. For instance, 'sale+serif' will find all serif items that are on sale. See what's popular! 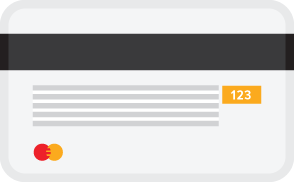 Use the 'View Popular Keywords' feature in the toolbar to find a quick list of popular items (based on keyword counts).